No matter what business you have, no matter what kind of website you have, SEO pays the bills and SEO puts the bread on the table. The reason you can afford to neglect SEO is only because you are able to survive with less revenues. And the fact remains that sooner you start focusing on SEO, the sooner you start generating revenue. After all it’s all about getting visibility and generating more traffic and leads. I put landing pages before keyword research. The reason being, it’s difficult to change your skill-set and service / product offering and your business than it is to choose your keywords. You have a product or a service that you excel at providing. Let’s make it reach the market. Identifying landing pages should be a pretty easy exercise because you know the pages you want to rank. 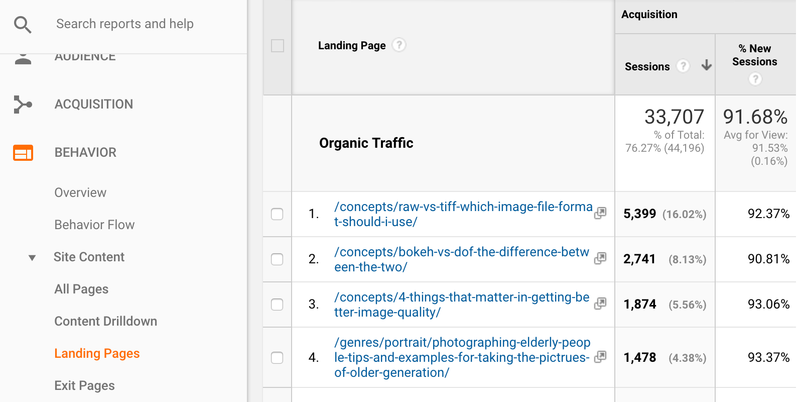 However if you head to Google Analytics > Behavior > Site Content > Landing Pages, you’ll see the top pages on your site where visitors are actually landing. In this example I’m citing a newly launched photography blog. Pages where you want the traffic to land. Pages where traffic is currently landing. Let’s add another one: Identify your top exit pages. These are the pages where the visitors leave your website. 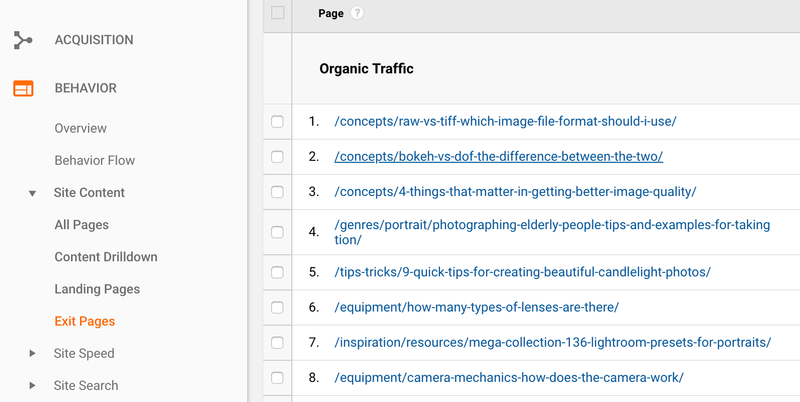 And these are the pages where you’ll need to make improvements to retain traffic and possibly lead it to other pages. Head over to Google Search Console to verify and cross-relate the data. I don’t leave keyword research to guesswork. I believe in solid, real, factual data. 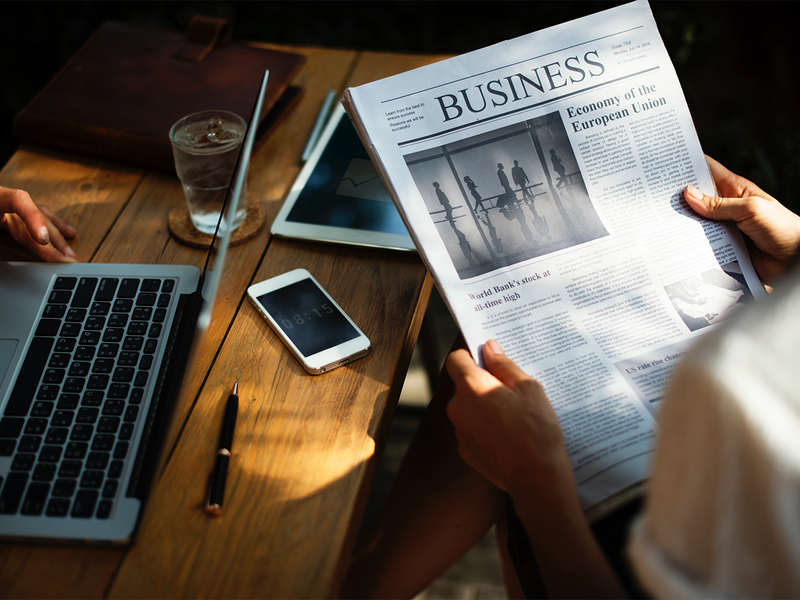 Of course you can find out the keywords that your competitors are using, and before that find out what you are currently ranking for and see how you can improve these ranks. Head over to Google Search Console > Search Traffic > Search Analytics. Select the date range: A wider range is better provided you have not had sudden splurge or loss of traffic or have reorganized the website else the results could be misleading. Enable the checkboxes for Impressions, CTR and Position. Click on the table header column and sort the table by Impressions. This will tell you which pages are getting the most visibility if SERPs. Find the landing pages that you want to rank and click on them. It’s time now to include these keywords in your landing pages. It is critical not to over-optimize or you will be penalized. If you have found 4 keyword phrases, include only one variant of these keyword phrases. Make sure that the primary keyword exists in the page <title> and one of the headings. Make sure that one keyword phrase exists in the body of the content. Review and make sure that there’s a bold variant of a keyword phrase. Include an italicized variant of fourth keyword phrase. So for 4 keyword phrases, we’ve inserted one variant. You can play around with it. If you do all these variants for all the four keywords phrases, wait and watch the ranks tank. Beware, you’ve been warned! Building external links will take time. So while you do that, it’s better to start passing some internal link signals to reinforce relevancy while you wait for external signals to build up. I find that adding half a dozen proper internal links can boost a page’s rankings. While you are at it, make sure that you are only linking to and from topically related pages. Also make it a point to use the keywords as the anchor text of the incoming internal links. Google and several other major search engines use LSI or Latent Semantic Indexing. These basically are secondary keywords that are thematically related to the topic of the webpage. For example if the topic of the page is about “cameras”, then “photography”, “lenses”, “aperture”, “shutter-speed” are thematically related to the core subject of the page. Google uses these keywords to understand the context of the page and rank it accordingly. Thus your page won’t rank just because you are using the word “camera” once or twice on the page. Your page is likely to rank because the topic is about something specific to photography. Also adding LSI keywords has a side benefit of ranking your pages for long tail keywords. This helps newer search queries surface in the search console and you find new and relevant keywords for which you can rank better. Identifying 404 pages is the easier part. You can use a software such as SEO Spider from Screaming Frog, or you can use Xenu’s Link Sleuth tool. The more difficult part is to fix those links. Once the crawl is complete and you’ve identified the missing links, it’s quite tedious to go into every post and correct 10 references to the same broken link. Let me introduce you to some magic search and replace. If you have phpMyAdmin installed on your server (of course you do, why else are you paying for the hosting? ), log into phpMyAdmin and get ready for the work. Here’s an excellent article from WPBeginner on how to find and replace text using phpMyAdmin. Follow the article exactly else you’ll end up breaking some serialized data and this will result in a broken WordPress install. I prefer to use the PHP database search and replace script by Interconnect/it. Another way to achieve the same thing is to use WP CLI search and replace magic. For all the broken links on the site, you will find that there are some that just can’t be fixed. The page is truly, madly, deeply gone. Leaving a 404 error in place is not going to do much good. The option is to either redirect it to the homepage. Or block those links via robots.txt and .htaccess file. Removing broken links and all references to them not only cleans up your site from redundant clutter, it also reinforces a well-maintained link structure to the search engines. Here’s an in-depth article on how to remove those broken pages from search engine results. Time and again I’ve realized that during regular maintenance and due to the usual course of evolution of the website, pages and posts are moved around, slugs and categories get changed and deleted. WordPress automatically redirects posts to the new slug. But for everything else, you need some third-party intervention. Or you can use Yoast premium plugin which automatically redirects deleted and renamed terms, slugs etc. WP Shortlinker Plugin I created it for myself. It allows you to insert shortlinks instead of pretty permalinks when you publish content. Intelligent find and replace en-masse: This is a piece of code I wrote when I was doing SEO for one of my clients. After the client restructured the site, most of the links were broken. I had to revert the changes. Here’s the code that you can use to replace pretty permalinks with permanent links. The result was a 100% traffic recovery after URL re-structuring. Remember to remove any automatic redirects (or such plugins). WordPress needs to fetch the post ID directly for the above solutions to work. During the course of time, slugs will change, URLs will change. It’s good to have some sort of fallback in place just in case things go 404. WP Intelli 404 Redirects is a plugin I wrote to handle just that. It’s based on a lesser known php function that calculates the lavenshtein score based on the post slug match. And it works like magic. It tries to match the slug of the requested page or post and if you are about to hit a 404, it will automatically redirect you to the closest slug match from an existing post. Isn’t that cool? This makes sure that visitors hit a 404 page only as a last resort. As a bonus, add a search box to your 404 page. That would definitely come in handy. You’ve just made sure that a 404 is the last thing a visitor would expect when coming to your site. You indeed run a tight ship. And while you are focusing on on-page SEO, don’t leave any stone unturned. Silo Information Architecture is a lesser known SEO technique which allows you to rank higher using up to 90% fewer inbound links than your competitors. Most brands spend an ugly amount of money on off-page SEO link-building. If your website does not have the correct architecture, this means 90% more work, time and money. Ok, again… ninety percent more work, ninety percent more time, ninety percent more money. Arranging your website content into niche, hierarchical, well organized and categorized topics will get you better natural visibility and ranks in SERPs. Here’s a detailed article on how to do just that — Silo architecture for WordPress. As we’ve seen, technical SEO is not just about meta tags and keywords. It’s about ranking for the relevancy to the user-intent. That’s why we identified what keywords are most relevant to the user-query and intent. And we made sure that the content delivers to the user-expectations. SEO is about making sure that the visitors have an excellent on-page experience — that why we implemented multi-layered fallbacks to broken links. And finally SEO is a philosophical approach. It’s not a plugin that you install and let go. It’s a strategy and a process for the long-term; a force of habit that you must build and pursue to succeed in long run.